Motherhood has been the hardest job of my lifetime. God has used my children and my own sinful nature to show me more about Himself. In our weakness, HE is strong! 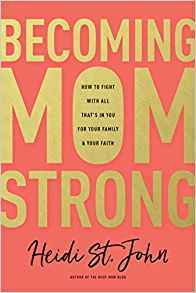 But how do we actually tap into His strength as moms? 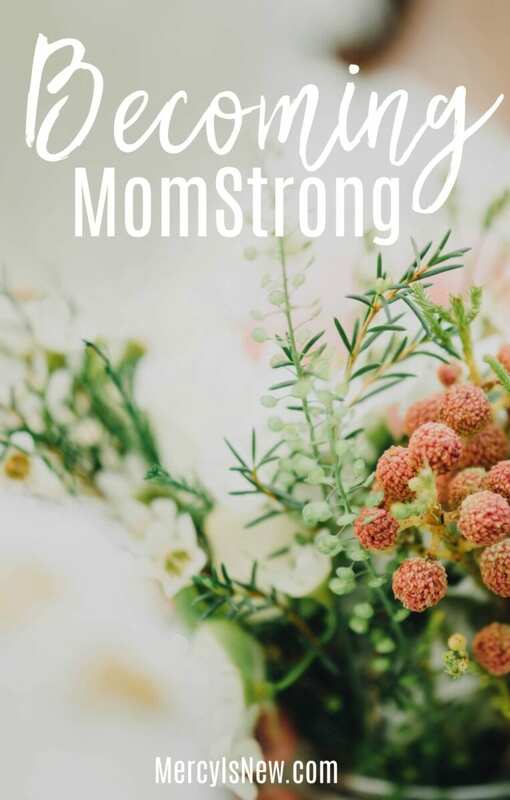 I am so excited to tell you about this brand new book called Becoming MomStrong written by my friend, Heidi St. John, you may know her as The Busy Mom. The book releases TODAY and you are going to want to grab it! 1. Remember whose strength it is. It is so very freeing to not have to come up with strength on our own! It is freeing to rest in the truth that GOD’S GOT THIS. 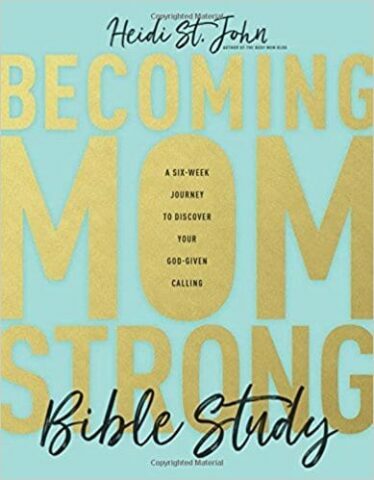 It is freeing to realize we don’t have to do more and be more for God to use us and strengthen us as moms! We don’t have to do it all, moms!!! In fact, it’s better if we don’t! 2. Know that we are in a battle. When we acknowledge that we are in a battle we are more prepared to fight. We’ve been given armor, mamas, we must pick it up and use it! We’ve been given all we need in this life through Jesus. But we will never be able to discern the truth OR teach it to our children if we are not BATTLE READY. And we become battle ready when we are standing FIRMLY on the truth of God’s Word. And that only comes when we are IN THE WORD OF GOD. Do not neglect it, sweet friends. 3. Find your identity in Christ. This has been such a hard battle for me personally. I have lived so much of my life seeking the approval of others and that leads to discouragement, defeat and feeling like a failure most of the time! Because we will never be able to please everyone! I want to teach my kids, who are teenagers now, to find their worth in CHRIST and who HE made them to be…who WE ARE in Christ. It is vital to our spiritual well being! To know who we are in Christ we must know what God says first about HIMSELF and then about us. Again, we can’t know what God says about anything if we aren’t in the Word for ourselves! This isn’t a guilt trip. This is WAR. 4. Place your trust in God alone. This sounds very nice and Christian-ese. However, do we know where we are TRULY placing our trust? Are we feeling let down and discouraged and disappointed all the time? If so, I challenge you to check your heart and allow the Holy Spirit to show you where you might be misplacing your trust! We simply cannot put our trust in our financial security, our homes, our jobs, our families, our spouses, our kids, nothing. Nothing satisfies like Jesus. He alone is worthy of our trust and devotion. 5. Accept your wounding as a gift. This is a hard one for most of us. But, in looking back over your own life, can you see that the hardest parts of your life have led to fruit and ministry? Who better to minister to someone who has been through cancer and chemo than one who has already walked that path? I can thank God for the season of depression in my own life because through it, an online ministry was birthed. I can encourage because He first encouraged me through the same struggles! And He will use your hardest trials as well! 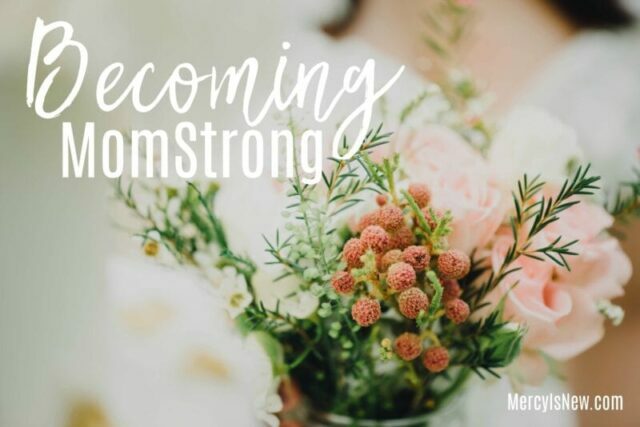 Sweet mamas, when we are weak HE IS STRONG. Lean into Him today. Trust Him alone. Know that we are in a battle, yes, but we’ve been given all we need for this battle! Stay in His Word and memorize those promises! Pray and speak His truth aloud. Don’t give up. Friends, as moms we need each other. We need to encourage one another. 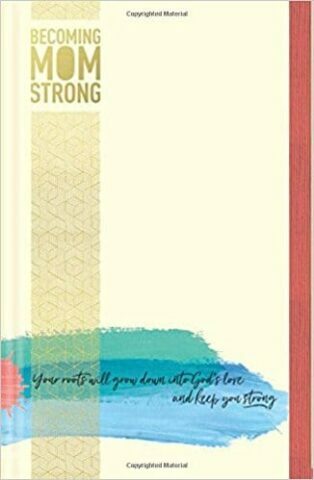 I can highly recommend this book to you as a source of encouragement and the reminder that we must be strong in the Lord! Grab the book at Amazon! While you’re there, grab the Bible Study to go with it and the journal!